The Trump administration’s new policy of detaining minors has come under enormous criticism over the past few days, with a broad coalition of politicians, religious leaders and even former first lady Laura Bush calling the practice cruel and inhumane, comparing it to the Japanese Internment Camps of World War II. For its part, the Republican Party has leveraged a number of defenses. 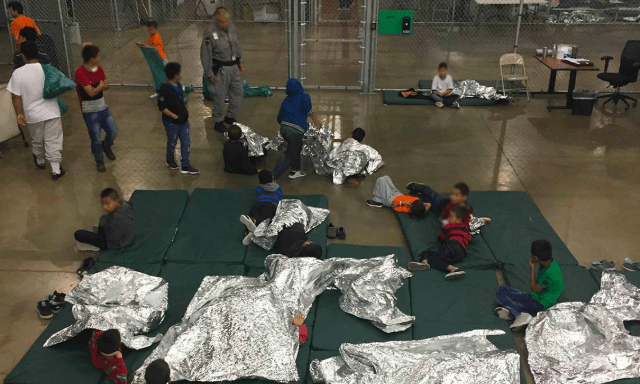 President Donald Trump himself is saying that the policy is a “horrible and cruel” law enacted by Democrats, while Attorney General Jeff Sessions and White House press secretary Sarah Huckabee Sanders have defended it as biblical. On Sunday, Homeland Security Secretary Kirstjen Nielsen denied that any such policy was actually taking place, before reversing course and defending the practice on Monday, saying she “would not apologize” for it.